Since 1969, every Sunday from Memorial Day through Labor Day, First Baptist Church of Albemarle has conducted a worship service at Morrow Mountain State Park. Since the beginning, more than 30,000 people have worshipped with us on the mountain. Preparations begin in late winter when various committees are formed. Effort is made to involve many of the church members in this project. The message for each Sunday is delivered by a lay leader. The services are nondenominational. 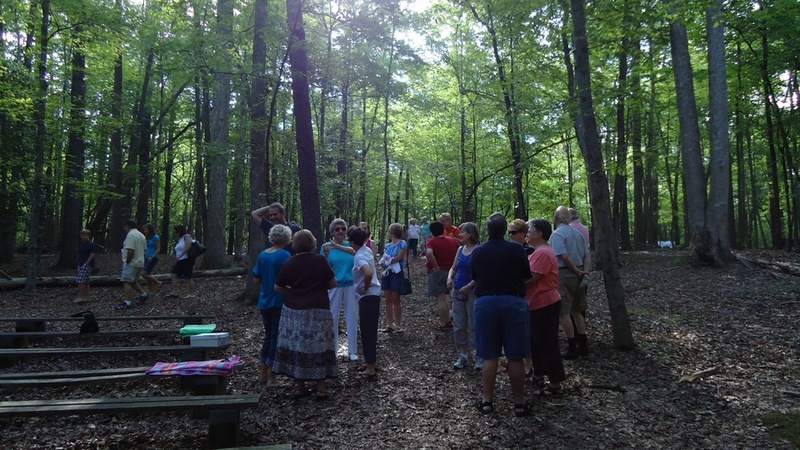 The purpose of this service is to give campers and other visitors an opportunity to worship in an informal, natural setting. This service is held in the amphitheater that is located between campgrounds A and B in the main family camping area. The service consists of hymn singing, prayer, special music and a sermon. The service begins at 9:30 a.m. and ends no later than 10:15 a.m. No offering is asked for or accepted. In case of rain, the service is held in the lodge near the Park Ranger Office.